Poll: What is a better mining strategy? 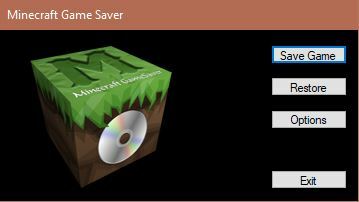 In my whole 7 years of playing Minecraft, I've only found 5 diamonds. I'm not sure if its my luck or my tactic, but I can never seem to find any. Please tell me any efficient ways to get diamonds. 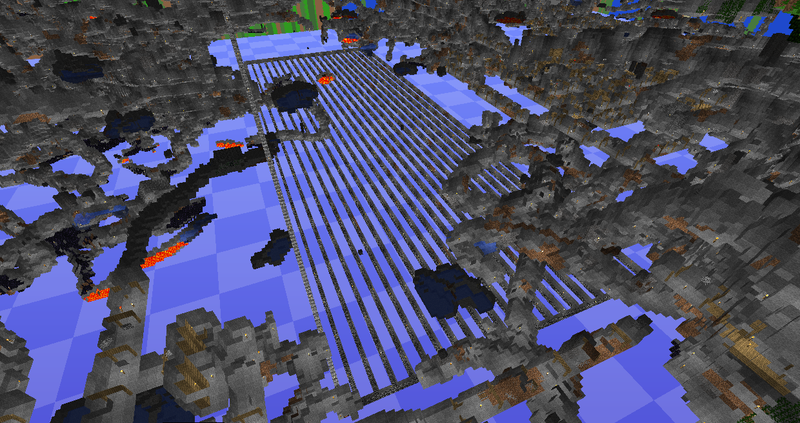 A maximum efficiency is reached at a spacing of around 6 blocks (that is, 6 solid blocks left in-between the tunnels). At this spacing, efficiency is about 0.017, corresponding to 1.7% of blocks removed being a diamond. For comparison, about 0.12% of blocks between layers 5-12 are diamond ore so this means that they are effectively 14 times more common in terms of blocks mined per ore found than if you simply mined every single block over that range. 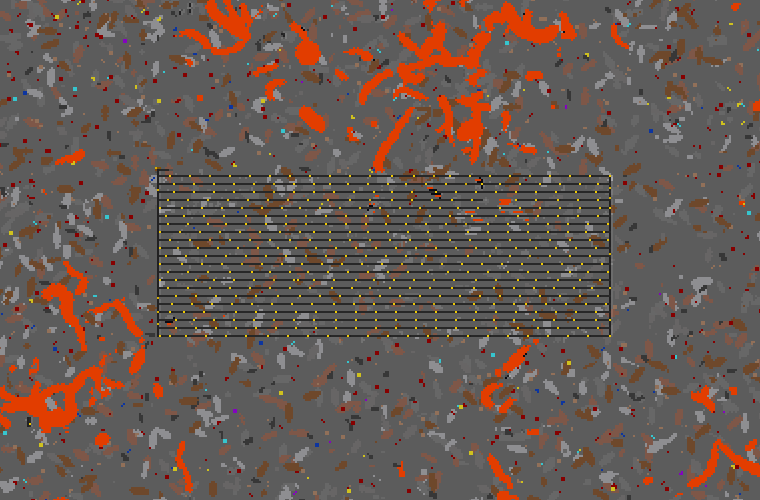 One important thing to note is that I explore everything when caving, not just the lowest layers since I do not cave to get resources; I've found up to a stack of diamond ore in a single abandoned mineshaft deep within the diamond layer, likely exceeding the rate at which I find them by branch-mining but such mineshafts, especially intact ones as lava-filled caves will disrupt them, are extremely rare though, even by pre-1.7 standards, where they were 2.5 times more common. 2x1 Straight Down Mining is basically a safer way to dig straight down. ok, but how do you get back up? just make a 45degree staircase - it takes a small while but it will provide you with a bit of iron and coal. lay down stairs. that will preserve plenty of hunger that you would waste by jumping up. once you're on level 11 or 12... what i do is a long straight 2-high-1-wide tunnel and every three blocks, i turn to sides and mine 5 blocks to take a peek what's on the side of my tunnel. later i may do another tunnel parallel to the previous one with 10 blocks between. what most people do (and generally accept as the best system) is just bore forward in a 2-high-1-wide tunnel. after a while they turn around and return in a tunnel parallel to the one they made before (3 blocks apart). forget the nonsense i believe you are calling "chunk-mining". it's a horrible waste of time and iron. by the time you get 30 diamonds that you need, you'll get sick of doing it. oh and do not use a stone pick down there. time is a much more important resource than iron. ok, but how do you get back up? In any instance I need to go straight back up (if I dont make the "staircase"method. I just jump and throw cobble or a cheap resource under me. that Or I will make a "waterfall elevator". But I am a nub, thats just how I've practiced thus far. Because of my sheer hatred for unlit caves and spots where mobs can gather and screw up my farms, I’ve gotten use to planting 244 iron blocks, 6 beacons, rigging up an exp potion dispenser for quick mends, and going until 50x50 mountain is completely removed from game. I filter the diamonds in inventory but pretty much let everything else despawn. If it were not for the diamonds being a finite resource, I’d just tnt dropper it to oblivion and call it a day but something theraputic about making the world disapear with a fully enchanted pickaxe and shovel. At some point, there was a video posted on youtube on how to find diamonds within the first 2 minutes of starting a new world. The guy did it and it was amazing. All he did was get enough wood to make tools, dig down to get stone to make more tools, then down to iron, and lastly, it was down to the bottom. He then did branch mining and within a minute he was on diamonds. It was crazy. I always find that strip mining is the way to go if you want to get ores consistently. If you're at diamond level, you'll get coal, iron, and redstone at consistent intervals, with the occasional diamond and lapis thrown in. You'll find more diamond by strip mining (or branch mining, as TheMasterCaver said. I think the two terms are used mostly interchangeably. Just make a long tunnel, then branch off of it with a new tunnel every third block. You see the maximum number of blocks that way.) But I usually find more ore in a shorter time by cave mining. Just looking for the exposed veins and delving into them will yield a pretty good amount without filling up your inventory with cobblestone. Be warned, I have only ever found exposed diamond in a cave twice, and those were so precariously close to lava pits that I didn't dare touch them until I came back with gravel. Those diamonds are still there, to this day. The moral of this story is this: if you want diamonds, strip mine. Almost every other ore will come in a strip mine too. That's a misconception, you're much better off digging tunnels every fourth block (three blocks between tunnels like TheMasterCaver said)! The goal isn't to see the maximum number of blocks it's to find the maximum number of diamond veins, all but the very smallest and pretty rare diamond veins are two blocks wide so with tunnels 3 blocks apart if you don't see a vein between tunnels from one tunnel you'll see it from the next. With tunnels every fourth block you cover a larger area and find more veins. The discussions about ore layers, click mining, etc. may not be usable now, but the section 4.0 "Mines and efficiency" is still valuable information. Ladders. You place them on the wall as you dig down. Dig down to Y=11 and it VERY HARD to not find diamonds. In a new world I usually have a couple dozen diamonds within an hour of starting the world. 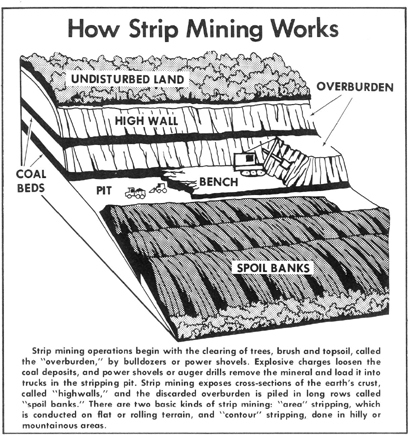 Google images for "strip mining" if you don't believe me. The term you want is "branch mining". This is likely because there is only one diamond vein per chunk-sized area ("chunk-mining" may refer to mining in a chunk, not necessarily every block but a form of branch-mining, until diamond is found, then moving on to the next chunk; or rather, chunk-sized area offset by half a chunk from actual chunks since the game places them in the center of a 2x2 chunk area so they don't spill out into unloaded chunks and it doesn't have to check that a 3x3 chunk area is loaded). You may miss more diamond at higher spacings but it seems like even a spacing of 6 blocks gets most of the ore if it is nearly twice as good as half the spacing (mining other ores will also increase the yield; e.g. coal veins can be up to 6 blocks long, meaning that even a spacing of 6 blocks can still expose the same vein in two adjacent tunnels, and when mined out you'll expose blocks not visible from either tunnel). Either way, getting more diamond per block mined usually means you'll collect it faster, and in the case of using non-Mending diamond tools to mine, use less diamond on repairs (at 111 blocks per diamond ore and using unenchanted tools you'll find about 14 ore per diamond pickaxe, with 21% used to make a new one; at 59 blocks you'll find about 26 ore and use only about 11%. I always upgrade to diamond as soon as I find some since it is 33% faster than iron, and I do enchant them so Unbreaking reduces the percentage used more; another thing that I also do is save pickaxes that are about to break so I can combine them to remove their enchantments so I can try for another level 30 enchantment and/or upgrade them without using more diamonds). That's actually inaccurate. What you're referring to is an open pit mine. It's a form of strip mine located primarily on the surface to target soils, clays, and stone. 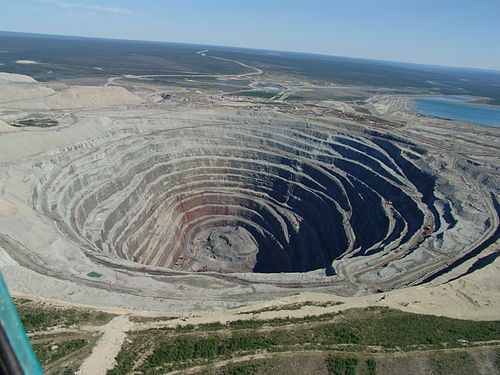 While every type of mine by definition leaves a gigantic hole in the ground (it's properly referred to as a "stope"), not every strip mine leaves it open to the surface. A quarry, for example, can be located deep underground, and a form of quarrying known as room-and-pillar mining is typically used to extract soft ores (coal and lead, for example) from deep underground. As far as subterranean forms of mining, it's mostly categorized simply by how you get into the mine itself. Shaft mines are those that you access via vertical shafts. Slope mines are those that have an upwards or downwards sloping tunnel, these are the ones that you typically see with rail lines emerging, or at least a road for trucks and donkeys to haul loads in and out. Further categorizations are done based on the type of stull (heavy wooden or wood-and-concrete supports) used or how you are digging out the stope (top down, bottom up, blasting, etc). Every online dictionary I found agreed with TheMasterCaver, including one specifically mining oriented one. I'd vote for Branch Mining, as I've found it to be very effective for finding diamonds and it offers a nice balance of being efficient and thorough. To keep it simple and safe, get down to Y=11 or Y=12 to limit or avoid exposure to lava. Mine out a main tunnel. Start creating 2x1 branches perpendicular to this main tunnel. Go back as far as you'd like then create a new "return" tunnel parallel to your main one. Leave at least 3 blocks between branches (a branch every fourth block). You should be able to find some diamonds in a relatively short amount of time. Fortune III comes in mighty handy to maximize your yield. There are other techniques that will work, or even other ways to lay out a branch mine depending on the balance of efficiency vs. thoroughness one is after. I mine a LOT in this game, it's one of my favorite things to do in Minecraft. I find it very relaxing and even therapeutic. Collected my 10,000th diamond the other day after about 1 year/300 hours in the game which was a nice milestone. I personally run branches every fourth block (3 in between), a 4x1 at Y=10 and then a 3x1 at Y=5 (the lower branches centered between the ones at Y=10). It's on the wiki ( https://en.wikipedia.org/wiki/Mining#Mining_techniques ). Nothing there indicates that strip mining can be done underground. which is where you get if you search for "strip mining" also puts strip mining in the surface mining category. Caving is the more fun way. Branch mining is more effective, but not as fun. If you want loads of cobblestone, branch mining is a good idea because you can get your cobblestone and you can get minerals along the way like diamonds or iron. The pattern shown is quite efficient, showing tunnels dug at levels 5, 8, 11 and 14. I prefer doing 3-block tall tunnels at 4, 8, 12, mostly cause I find 3-block more pleasing, even though it means digging 9 blocks for every 8. I usually do my branches 40-50 blocks long, torch every 10, then make a turn dig 4 blocks, turn again, dig back to main tunnel. I also dig down in 2x1 alternating pattern, placing ladders as I go, till I reach 12, where I make staging room (chests, furnaces etc) At the bottom of shaft I put a small water pool so I can simply jump down. Later, for going up, one could build a click-through minecart elevator. True, but that page equates quarries (a strip mine that targets soils, clays, and building materials) and strip mines. The quarrying page that it links to, however, does specifically indicate an example of an underground quarry (the example is for bath stone). There's additional pages that detail the different styles of mining, of which room-and-pillar mining is mentioned..